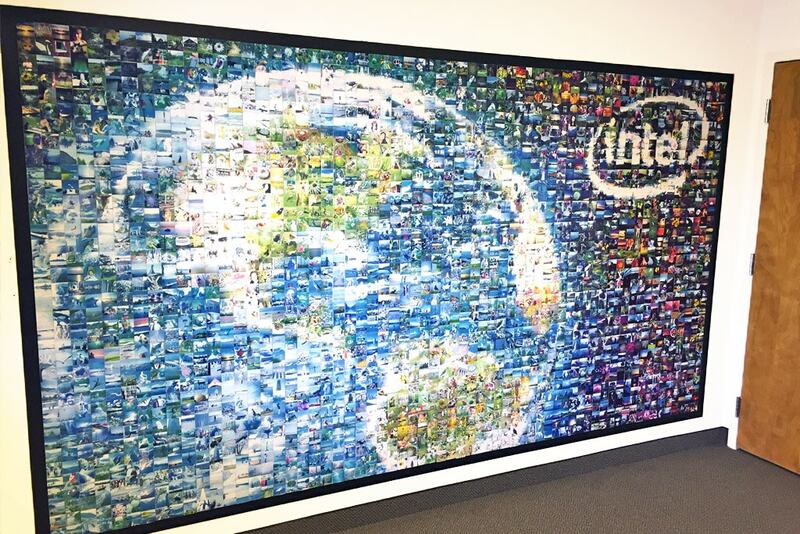 Picture Mosaics helped turn Intel’s office walls into a masterpiece with an employee engaged Photo-by-Photo picture mosaic mural. 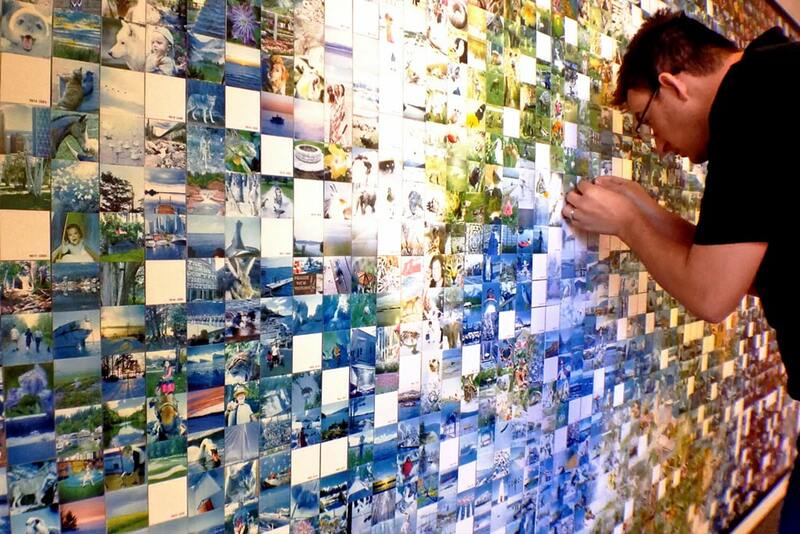 Each photo was analyzed in real-time for colors and shapes, then printed instantly for hand placement in the photo mosaic mural. 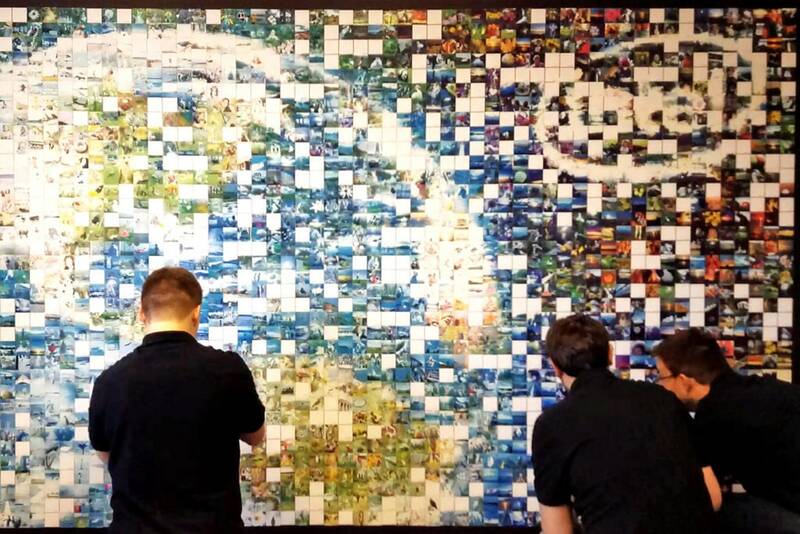 The employees were given the opportunity to take part in creating this massive work of art and personalize their work space. Watch the short clip below to see this engaging, hands-on experience! 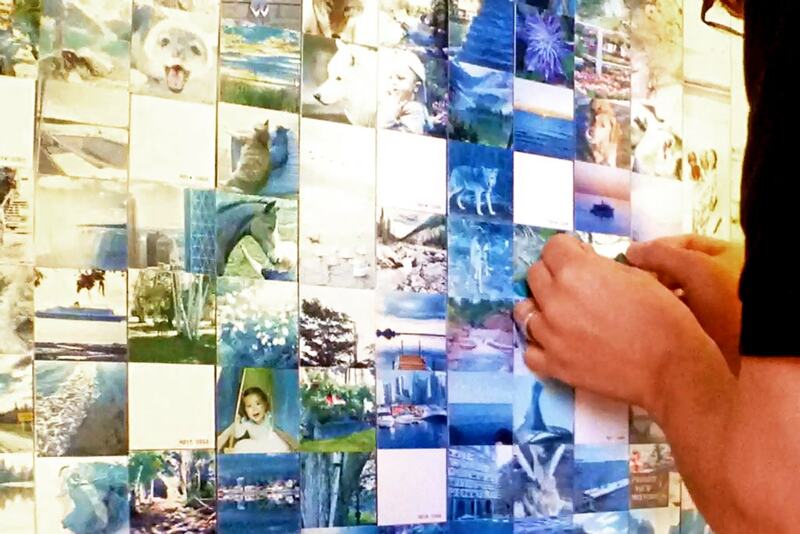 Using a dual processing technique to analyze photos for colors and shapes, we placed each photo in its optimal location for the best overall appearance. 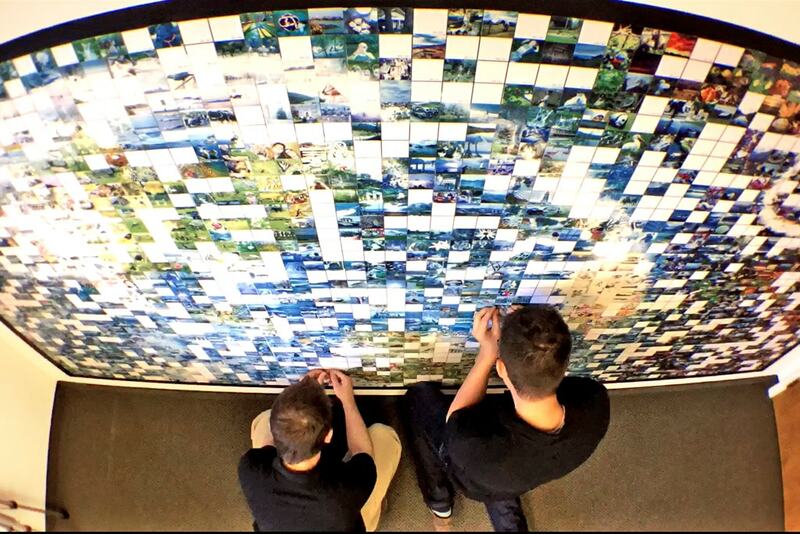 Every employee photo was submitted was used, while never repeating an image. 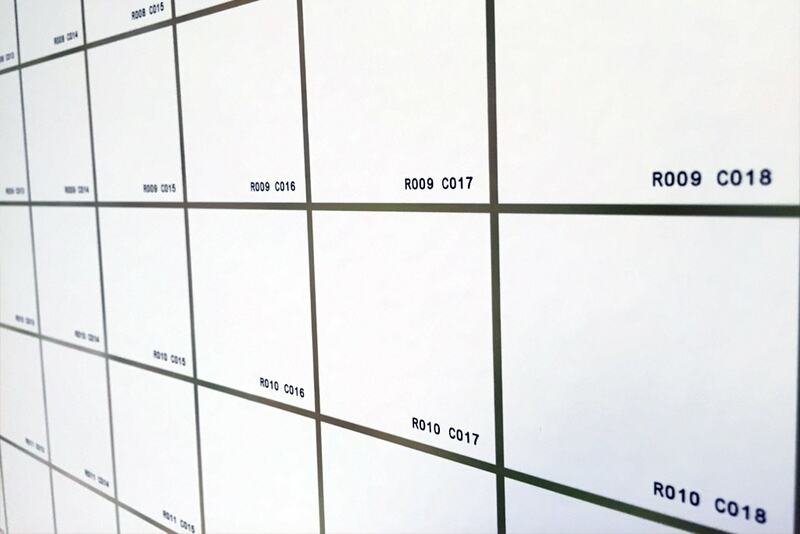 Our state-of-the-art, hi-res, dye-sub printers along with specially selected print media was used to ensure the best clarity, quality, and durability possible for this piece of art. For proper on-site installation, our design team provided column and row information on each photo.